There are always discussions as to which feeder is “the best”, but like everything else in beekeeping, there is no one best solution for every situation and location. I have taken the most popular feeder options and rated them in different categories. I make no implication that categories are of equal importance, but leave it up to each beekeeper to decide importance of each. Feeders are rated in comparison to each other on a scale of one to five, with one being the worst, and five being the best. Keep in mind, these are my personal opinions and views, yours may be different. 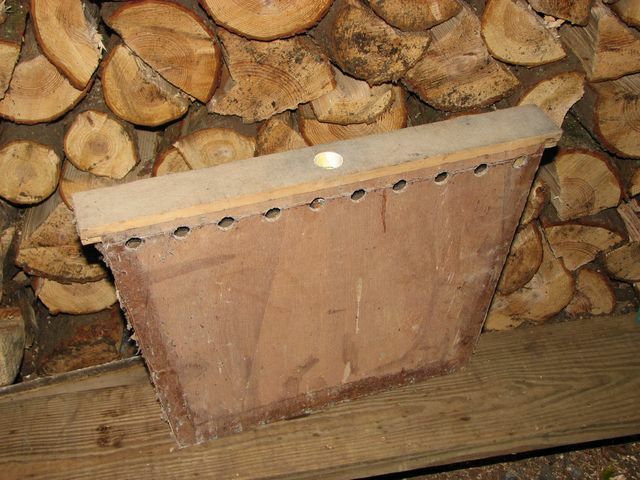 Boardman feeders are the simplest to use, no manipulation of the hive is necessary. Although ants seem to be less of an issue as the bees tend to keep them away from the lid of the jar, Boardman feeders are the worst when it comes to robbing. It is impossible to install a Boardman feeder without spilling some syrup on the hive or ground, which is an attractant for robbing bees. If you use any essential oils or Honey-B-Healthy, it becomes even worse. Being external to the hive, the weather has to be warm enough for the bees to fly for them to get to the syrup. This can be a real downfall in the early Spring when the weather is bad and your bees need the feed. One good aspect of the feeder being outside the hive, is that it is next to impossible for bees to drown. Even if it does leak, the bees can avoid it. Being located at the entrance, it does not impede hive inspections. Boardman feeders are mainly used with quart mason jars, but 5lb. glass honey jars can be used. Betterbee does sell a plastic Boardman-like feeder that has a much higher capacity. Boardman feeders are relatively cheap when you supply your own mason jars. Division board feeders require a little more effort to use. You have to open up the hive to install and fill them. One trick is to put the feeder right against the side of the hive and when you go to fill or inspect, slide the super above it over enough just to expose the feeder. Since the feeder is inside the hive, the bees can easily protect it from ants and robbing. Being internal to the hive, the bees readily hav access to the feeder. I do question how likely it is that the bees will feed from it while clustered, like the inverted feeders, especially if it is placed next to the hive wall. Since it is located in the core of the nest, it is the least susceptible to freezing as well. Division board feeders are by far the worst when it comes to bee drowning. You can use floats or ladders to help reduce the drowning, but it can become a chore at times keeping these devices working properly. Most inspections are usually not hindered by division board feeders. Division board feeders typically hold about 3 quarts. Division board feeders cost ~$5 each. The inverted Jar/Can is not much more work than the Boardman feeder. A gallon glass jar full of syrup is still quite manageable even for those who are not strong. It usually does require the use on an extra empty super when placed inverted on the inner cover hole, or frame tops. Like the Boardman feeder, the exposed access to the syrup is minimal. But the added advantage with the inverted jar/can is that access is only from within the hive, so the bees can easily guard and protect it. The inverted jar provides access 24 hours a day, 7 days a week, regardless of temperature. The bees can cluster right up to the bottom of the feeder and continue to feed without breaking cluster. The reason I gave the division board feeder a slightly higher ranking is that the inverted jar/can is more likely to freeze since it is not in the core of the hive like the division board feeder. This really isn’t an issue in my mind though. If the weather is cold enough for the extended period of time that would be need to freeze the syrup, it is most likely not the time to be feeding syrup and adding additional moisture to the hive. Drowning is not an issue as the bees can’t get into the syrup. Yes there is the rare occasion that you don’t get the lid sealed properly and the inverted jar/can leaks out and soaks the bees under it. This is more likely with the friction top cans than glass jars. I personally prefer the glass jars over cans because the lids are easier to deal with and you don’t have to deal with rust. Hive inspections aren’t too bad. Yes you have to remove the empty super and feeder, but most of the time the feeder is less than half full, so it is easily removed and set aside. 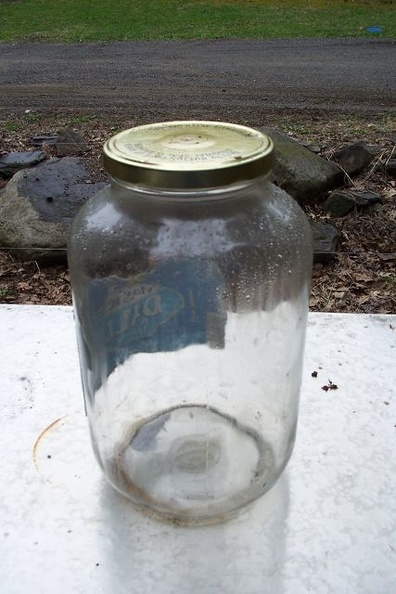 The Gallon glass jar doesn’t hold as much as the pail feeders or Miller-type hive top feeders, but usually provide enough syrup to last a while, but not long enough to let it get too moldy. You can always put more than one on a hive at a time if needed. FREE!!!! At least the gallon glass jars are. You can get them from your local deli. I guess you can get used paint cans too, but I don’t think the wife would go for putting them through the dishwasher like the pickle jars. One note of caution, only use glass. The plastic ones are too flimsy and will leak on the bees. The hive top feeders are the biggest and bulkiest to deal with. Like the division board feeder, you need to transport the syrup in a seperate container, only bigger since it holds much more syrup, and you have to lift these larger containers higher to fill the hive top feeder. 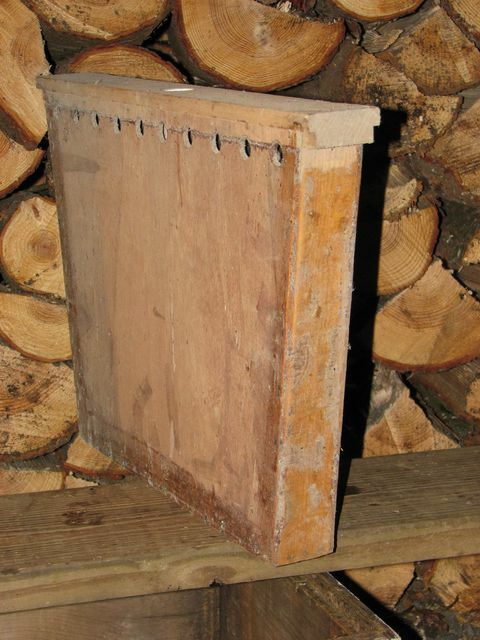 Miller-type feeders are best when used for making comb honey or feeding honey back to cut-outs. Robbing can be an issue if you don’t have a tight sealing lid on top. However, ants seems to be the bigger problem, as they can get through smaller cracks than bees, and there is a large pool of syrup that the bees can not patrol. It can sometimes be a futal effort trying to stop ants from getting into a hive top feeder once they find it. Hive top feeder are only slightly better than the Boardman feeders. They require the weather to be warm enough for the bees to freely move and break cluster to feed. This may not be an issue for folks in the South, but this is a real drawback for Northern beekeepers in the Spring when the weather only warms up enough in the early afternoon. Spring is the time of the year when the bees need the syrup the most to prevent starvation and they may only be able to get access to it for a few hours and depending on the weather, may not have access for days or weeks at a time. Like the division board feeder, one has to work at preventing drowning with the hive top feeder. You have to limit the bee access to the pool of syrup by some type of screen or plastic excluder. A ladder or float is also helpful at times. You have to keep an eye on these restriction devices, a simple bent corner on a screen can lead to massive bee drowning. I guess there is also the slight possiblity of damaging the hive top feeder and a leak devloping that dumps large amounts of syrup onto the bees. Hive inspections definately need to be planned around feeder refilling as it is next to impossible to remove a feeder that is more than half full without spilling, which increases chances of robbing. It can be real troublesome if you need to take a quick check or the bees aren’t consuming the syrup as fast as you anticipated. Hive top feeder capacity differs by manufacturer, but most hold between 2 and 3 gallons. 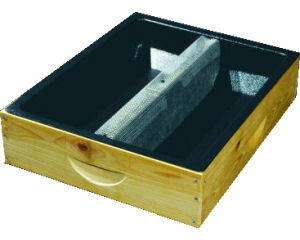 Hive top feeder have the highest cost of all feeders. They range in price from $12 to $35 depending on the design. 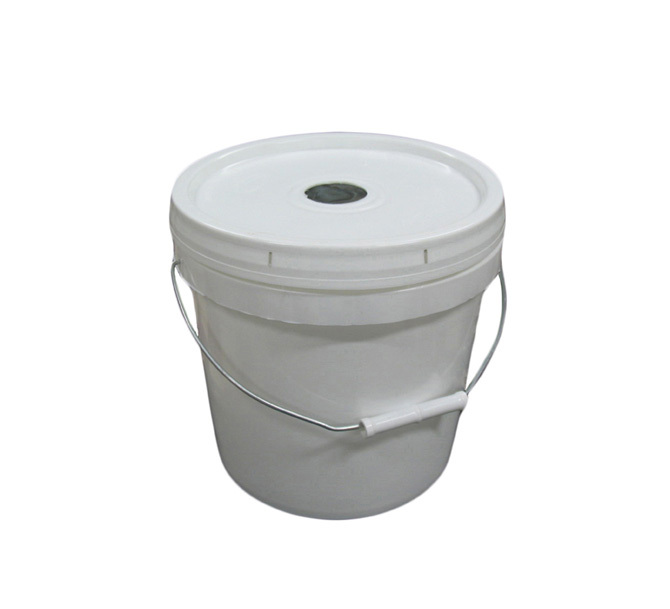 For the most part, the pail feeder is quite similar to the inverted jar with the obvious differences of capacity, weight, cost and associated effects of these differences. The one not so obvious, but perhaps the biggest difference is the fact that the pails are made out of plastic. Plastic pail feeders should not be used when there are large fluctuations in daily temperatures as the expansion and contraction of the syrup causes the pail to flex and pump the syrup out onto the bees. you are right about the feeders, i have made the inside feeder and it does not work as well as feedind with the .the glass jar wokes better from the top. i use to live in nyc .i lived in florida, now in east tn. I swear by the hive top feeder but only after modifying them by adding window screen to the tops so I can refill them yet the yellow jackets and ants don’t have access to the syrup. I got mine from another source and they are wood, not plastic and have a single access on one end-not a center access. The “open” top was almost unusable due to these other pests before I put the screen on. I can rip it off if cleaning is required and I have a ton of screen so replacing it is not costly-just a staple hammer. I don’t have a large number of hives so it may not be the choice for “real” apiaries. I like the hive top feeder since I am away from my hives and need the volume of sugar syrup to last. Mine has the plastic insert with the bees coming up the middle of the feeder with a wire mesh to contain them when refilling. I did have a small ant problem, but with advice from other bee keepers I used a little cinnamon powder on the inner cover and no more ants. The bees also filled the open area under the cover with burr comb and I turned the feeder over and covered with foam paper and poked holes around the paper to spray in some of the “Great Stuff” foam to fill the void. I stuffed news paper in the channel where the bees need to run to get to the syrup to prevent the foam from filling that space. I later removed the news paper after the foam had cured. This also added extra insulation with still enough airflow for ventilation in the winter. I want to go to a top feeder this year. I’ve seen how it’s installed for cool weather; however, I live in the South and lost my hive this year to chalkbrood virus (caused from poor air circulation in the hive). So instead of the telescope innercover, I’ve made a screen (used window screen to keep out the hive beetles we’re plagued with here). Got any ideas as to how I can use a gallon jug or top feeder and keep the screen? Thank you. Abigail, I just got some Imirie shims (basically a 3/4″ frame the same footprint as a super) and stapled screen over it, you can put this on top of any hive-top feeder or under the telescoping cover for hive ventilation. When using an inverted jar how big / how many holes do you punch in it? I’m getting my first package in May so I’m trying to sort out all of the details. Would you feed syrup or candy to a newly installed package? When using an inverted jar how big / how many holes do you punch in it? I’m getting my first package in May so I’m trying to sort out all of the details. Would you feed syrup or candy to a newly installed package? Definitely syrup. With candy, the bees will need to collect and haul water to dilute the candy to feed. Candy is good for winter when hive moisture is an issue. For packages, you might want to use quart jars and refill daily so you can keep an eye on the consumption. If the weather is still cool, providing warm syrup daily is best and a quart jar is most convenient for this. Place it over the inner cover hole so you don’t have to open up and expose the frames to change/fill. An empty medium super works with quart jars, and a deep super works with gallon jars. I’ve been using ziplock bags and want to build a feeder using a gallon jar or can. I bought a gallon paint can from Lowes and punched a few small holes in the can lid. I tried it with water and it seemed to be leaking. Do you think Mason jars would work? I used a very small nail to punch the holes. Do you think the thinker syrup would stay in the can better? I use either gallon pickle jars or quart mason jars without any issues. See previous comment for details. You will get some amount of dripping when the jar is first inverted until a vacuum is formed. 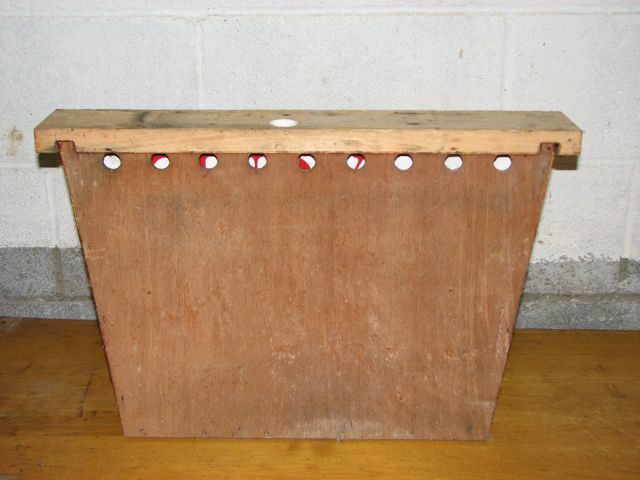 The amount of dripping depends on the number and size of holes in the lid. I usually invert the jar over the inner cover (not over the hole) and let it drip on the cover so the bees can clean it up. Once it stops dripping (seconds), I place it over the inner cover hole. Friction top lid cans work, but getting the lids air tight is much more temperamental than jars. I use the Miller type top feeder and agree with your assessment. Mine are getting lots of mold in them too. I am thinking of trying the gallon jar feeder, but I have a couple of questions. When you remove the jar, aren’t there a lot of bees clinging to the lid and don’t they well out into the top area? Wouldn’t that be a problem when you replace the jar? Second, do you think it is possible/desirable to put a wire mesh on the inner cover to keep the bees in? But would it then break the surface tension of the droplets and leak onto the bees? PS. Great bee vac idea. I’m going to try it. When you remove the jar, aren’t there a lot of bees clinging to the lid and don’t they well out into the top area? If the jar is empty there are only a few bees at most. If there is still some syrup, you may get a dozen or so bees clinging to it. But a quick jerk clears them. I usually either leave the jar to one side so part of the inner cover hole is exposed, or prop the jar on two 3/8″ spacers so he bees can walk between it and the inner cover. Wouldn’t that be a problem when you replace the jar? Not really, they usually disperse n their on or can be easily persuaded off so you can remove the lid. Second, do you think it is possible/desirable to put a wire mesh on the inner cover to keep the bees in? It is possible and does work, but I find it not necessary. As ong as it is not super cold out, I let the bees have access to the area around the jar. The then keep the empty super free of pests like ants, spiders, and earwigs. But would it then break the surface tension of the droplets and leak onto the bees? No it will work fine, but they will usually propolize it once the jar is empty, so yo need to keep on top of it. If you let the bees into the empty box around the jar, don’t they build burr comb in the box? I can see the advantage of ventilation, of course. If you let the bees into the empty box around the jar, don’t they build burr comb in the box? I have been letting the bees have access to the area above the inner cover for year, whether it be a vent box, or an empty super for a feeder jar, and have never had them build comb up there. The inner cover provides a barrier and the bees don’t like to split the nest. Of course, if you really cramp them, you could get them to build comb there, but if they have sufficient room below, they will resist the urge. When I feed syrup I use glass one gallon pickle jars inverted over the inner cover. If you need to leave them for a long time, you can put up to 4 gallon jars on 3/8″ shims on the innercover. I have found no easier/cheaper/better way to feed syrup. I bought 5 top feeders from brushy mountain last year the wooden ones with the floats in them they did’nt seem to pose a drowning problem and held a lot of syrup. They do expose you to the bees when filling but this did’nt seem to be a problem as the bees seemed to ignor me. Have you tried these and what if any is your opinion of them. I haven’t used that particular one, but glad to hear you don’t have a drowning issue. Although drowning is a big issue, it is only one of the inherent disadvantage (at least to me) of all Miller-type feeders. I have three hives with the Brushy Mountain top feeder (with the floats). They work extremely well, and I’ve had very minimal drowning issues with them. The Brushy Mountain feeder hold quite a bit of syrup. I fill one side with syrup and place a pollen patty on the other side until the nectar starts to flow. The only issue I’ve run into with the Brushy Mountain top feeder is that my bees seem to prefer to construct comb in the center entrance slot that runs the length of the feeder. When using inverted jar/can feeder covering the center hole of the inner cover, won’t that impair the ventilation of the hive as the ventilation hole is above the center hole? I guess it all depends on your personal philosophy of ventilation vs. heat retention, but that is another topic in itself. Feral hives don’t like ventilation and tend to seal up the cavity as tightly as possible. If ventilation is a concern, you can prop the jar up on 2 shims or offset it so it does not cover the entire hole. i have 3 hive top feeders where the enter from the center. i had a problem with drowning several hundred between feedings so i added mire mesh to the bee channel for the bees to grab on to and have not had a proiblem since love them for their easy access and large capacity. Nice comparison. 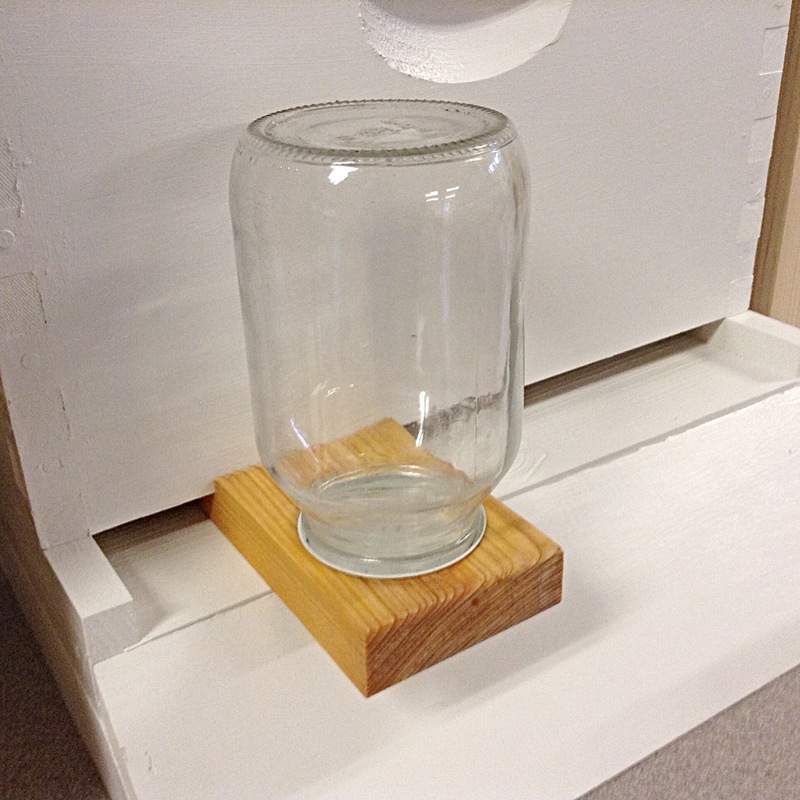 In a top-bar hive, could you put the quart Mason jar feeder on the 3/8″ shims, inside the hive near the back (where there is no comb built)? If the hive has a mesh floor instead of wood floor, I suppose this would be too heavy…a plastic bag feeder might spread the weight out better? These are the best for feeding on top inside a hive body. just don’t use many holes or it will drip down and freeze the bees. They are super easy to make on your own too. Yes, just another take on the inverted jar. Personally, I just find them as just another piece of equipment to deal with (purchase/build, maintain and store) that is not needed. Inverting the jar right over the inner cover hole works just as well. I have 2 holes in my inner covers, so multi-jar feeding is not an issue either. That will work as long as the weather is warm and the bees don’t have to break cluster to feed. A better option that I have found for TBH is a division board like feeder that allows the bees access from the comb and can be filled from the outside. Using this type of feeder, I was able to feed four nucs through the entire winter my first year with TBHs. A 1 gallon pickle jar is too tall for a deep box, even without 3/8 inch shims some place under it?! I have spent the last several months collecting the jars and was surprised to find out this difficulty. I plan to make further holes in my inner covers and see if the telescoping covers will cover enough of the sides to sit on top of the jar. I guess if I put a brick on top of the hive all the weight of the brick + syrup will be supported by the inner cover? Maybe I’ll purchase some straps..
On second thought I’ll make some feeder boxes that will shim it up high enough to place the weight on the outer boxes instead. @Fred – Yes, unfortunately depending on the manufacturer of your equipment, gallon pickle jars may not fit properly. I build my own inner covers, so they are built to provide proper clearance. I do occasionally run into issues with acquired equipment, and in those cases I just throw an empty honey super on top of the empty deep. Just FYI, gallon paint cans work extremely well also and there is no issue fitting them in an empty deep. Around here, Lowe’s sells them, but if you know any painters, I’m sure they can be picked up for free. @Sharon – I would suggest feeding them as much syrup as they will take over the next week or two and then stop feeding syrup. Just like when collecting nectar, the bees need ripen they syrup otherwise the moisture content will be too high come winter. Time has just about run out for them to be able to do such, the weather is getting too cold. In fact, I removed the last of my syrup feeders last week. Too much moisture will most likely lead to dysentery and possibly nosema. Although I’m not a big fan of medicating, at this late point of the season for this case, you may want to put Fumagilin-B in the syrup. Furthermore, bees will not take cold syrup easily and I would imaging the syrup would get extremely cold in a Montana winter. Once you have given them as much syrup as they will take, I would then provide them with either a sugar board or place a piece of newspaper in place of the inner cover and put an empty honey super on top and pour granulated sugar on to the newspaper. I’m about to start my first hive this spring, I have my hive kit and will get my bees in April. I’m planning to use a Boardman entrance feeder but I’m a bit confused with how to use this and the entrance reducer. The reducer fits fine with out the feeder, but of course it is too long with the feeder installed. What do you recommend as far as an entrance reducer when using an entrance feeder ? First of all, I wouldn’t recommend using an entrance feeder because of the inefficiencies mentioned above. You would be much better served putting the full reducer on the entrance and inverting your mason jar (or even using the Boardman feeder) over an inner cover. But if you must, I would make a new, shorter entrance reducer (3/4″ x 3/4″ block that is 1″ shorter than the entrance opening left when the feeder is installed) and put the feeder on one side and the bee entrance on the opposite side. This may help with robbing as theoretically the robbers would have to enter at one side and go all the way across to the other side to get to the syrup. Of course theory doesn’t always work in practice. I am surprised you failed to mention the hive top feeder offered by Better Bee. The main advantage is the ability to feed no matter what the weather. 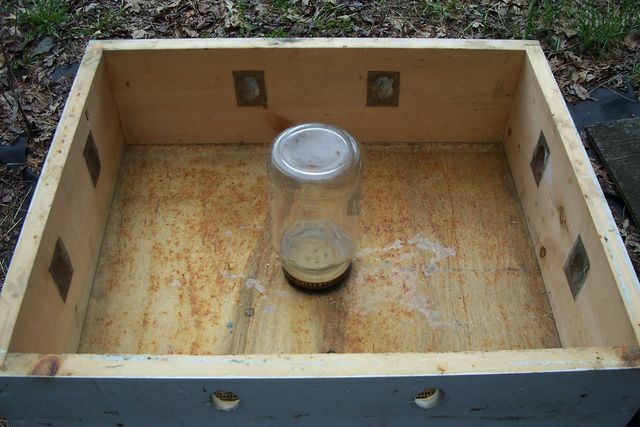 You can remove the outer cover/top and add feed without disturbing the bees. It is easy to clean. It can be used for either liquid or dry feed; however when feeding dry feed the bees are inside the feeding area. Placing a foam weather strip around the top edge of the feeder keeps out ants and other critters. The feeders come in three sizes; 8 frame, 10 frame, and 10 frame Better Bee. Cost is average. I have tried just about all the feeders made and still go back to the Better Bee. I have used mine for over 10 years and have not had to replace even one. It would fall in the Miller Hive Top category. Yes there are slightly different designs/features among the manufactures, but in general, the plus/minus at the high level are the same. You may consider the ability to feed no matter the weather a positive, but some others feel the ability of the bees to have access to the feed regardless of the weather a higher priority. Bees will not break cluster to use a hive top feeder. Many beeks have experienced their hive starving even though they had feed in the hive top feeder. As with most things in beekeeping, there is not one “right” answer. If it works for you, great. I am only sharing my experience and preferences.